From the Department of Family Medicine, University of Michigan, Ann Arbor. Background: Electronic health records (EHRs) hold promise to improve productivity, quality, and outcomes; however, using EHRs can be cumbersome, disruptive to workflow, and off-putting to patients and clinicians. One proposed solution to this problem is the use of medical scribes. The purpose of this systematic review is to summarize the literature investigating the effect of medical scribes on health care productivity, quality, and outcomes. Implications for future research are discussed. Methods: A keyword search of the Cochrane Library, OvidSP Medline database, and Embase database from January 2000 through September 2014 was performed using the terms scribe or scribes in the title or abstract. To ensure no potentially eligible articles were missed, a second search was done using Google Scholar. English-language, peer-reviewed studies assessing the effect of medical scribes on health care productivity, quality, and outcomes were retained. Identified studies were assessed and the findings reported. Results: Five studies were identified. Three studies assessed scribe use in an emergency department, 1 in a cardiology clinic, and 1 in a urology clinic. Two of 3 studies reported scribes had no effect on patient satisfaction; 2 of 2 reported improved clinician satisfaction; 2 of 3 reported an increase in the number of patients; 2 of 2 reported an increase in the number of relative value units per hour; 1 of 1 reported increased revenue; 3 of 4 reported improved time-related efficiencies; and 1 of 1 reported improved patient-clinician interactions. Conclusions: Available evidence suggests medical scribes may improve clinician satisfaction, productivity, time-related efficiencies, revenue, and patient–clinician interactions. Because the number of studies is small, and because each study suffered important limitations, confidence in the reliability of the evidence is significantly constrained. Given the nascent state of the science, methodologically rigorous and sufficiently powered studies are greatly needed. Many personnel types with different levels of training can work as a medical scribe, including nursing, medical students, or individuals whose only medical training is limited to that of being a scribe. Importantly, the identification of a person as a scribe is not dependent on their training per se, but the person's predefined role. If a medical student is learning note-taking skills by documenting clinical encounters under the guidance of a physician in a student–preceptor relationship, then the student in this case is not acting as a medical scribe. If, however, a hired note taker also happens to be a medical student, and the purpose of the student's role in the clinical setting is to document the clinical encounter (and not to receive teaching or mentoring), then the student in this case is a medical scribe. In some settings medical scribe services may be contractually arranged with an independently operated scribe company, whereas in other settings scribes may be direct employees of the health system or clinic. Likewise, the tasks performed by the scribe can vary from setting to setting. In settings with fully functional EHRs the scribe might actively participate in the clinical encounter, serving as an interface between the EHR and the clinician; for example, the scribe could communicate to the clinician information generated by the EHR such as automatic warnings, prompts, or reminders. In other settings the scribes' role could be essentially invisible, where direct interactions with the clinician or patient are kept to a minimum. After the scribe's documentation is complete, the clinician must authenticate the scribe's entry via signing and dating/timing. The Joint Commission does not support the use of scribes for entering orders on behalf of the clinician, given the additional risk for error19; if, however, the person serving as a scribe also happens to be a licensed health care professional, they could perform duties commensurate with their licensure. Although reports on the use of medical scribes date back to the mid-1970s and early 1980s,20⇓–22 to our knowledge a summary of the evidence on the topic has never been published. The purpose of this systematic review, therefore, is to summarize the literature investigating the effect of medical scribes on health care productivity, quality, and outcomes. A keyword search of the Cochrane Library, OvidSP Medline database, and Embase database from January 2000 through September 2014 was performed, focusing on articles using scribe or scribes in the title or abstract. The cutoff date of January 2000 was chosen based on the Institute of Medicine's conclusion that the use of EHRs before this time was uncommon.1,23 After removing duplicative sources, each remaining source was individually screened by means of assessing the title, abstract, and/or the original source document. The following exclusion criteria were applied: publications not in English; sources not focusing on the use of medical scribes in the clinical setting (eg, biblical scribes); conference abstracts; and sources not investigating the effect of medical scribes on health care productivity, quality, or outcomes (eg, narrative descriptions of an existing medical scribe program, commentaries). To ensure capture of all potentially eligible studies, we performed a second search using advanced search features in Google Scholar. While the details of Google Scholar's search algorithm are proprietary and not known, the engine includes “articles, theses, books, abstracts and court opinions, from academic publishers, professional societies, on-line repositories, universities and other web sites.”24 The parameters for the advanced Google Scholar search were English-language sources, excluding patents and citations, posted from January 2000 through September 2014 and using scribe or scribes in the title. Each result was individually screened by means of assessing the title, abstract, and/or the original source document. The following exclusion criteria were applied: books; sources not focusing on the use of medical scribes in the clinical setting; conference abstracts; sources not investigating the effect of medical scribes on health care productivity, quality, and/or outcomes; and articles previously identified for inclusion from the database search (Cochrane Library, OvidSP Medline database, and Embase database). The list of references from each included study was then reviewed to assess for potentially eligible studies not otherwise captured. Likewise, for each included study a forward publication search was performed using the All Databases engine via Thomson Reuters Web of Science (http://apps.webofknowledge.com). We evaluated the identified sources, and study design, measures, outcomes, and limitations were recorded. Any disagreements were negotiated until 100% consensus was achieved. Findings were summarized, including recommendations for future research. In total, 876 sources were identified: 5 from the Cochrane Library, 94 from OvidSP Medline, 142 from Embase, and 635 from Google Scholar. As shown in Figure 1, application of exclusion criteria resulted in 5 studies for this review. Four studies were identified using the database search25⇓⇓–28 and 1 through Google Scholar.29 No additional studies were identified by searching the included studies' reference lists or the forward publication search. Flow diagram of the search strategy used to identify literature investigating the effect of medical scribes on health care productivity, quality, and outcomes. The database search queried the Cochrane Library, the OvidSP Medline database, and the Embase database from January 2000 through September 2014 for articles using scribe or scribes in the title or abstract. The Google Scholar search queried English-language sources (excluding patents and citations) posted from January 2000 through September 2014 and using scribe or scribes in the title. Outcomes associated with the 5 studies are summarized in Table 3. Two of 3 studies reported scribes had no effect on patient satisfaction; 2 of 2 reported improved clinician satisfaction; 2 of 3 reported an increase in the number of patients; 2 of 2 reported an increase in the number of relative value units (RVUs) per hour; 1 of 1 reported increased revenue; 3 of 4 reported improved time-related efficiencies; and 1 of 1 reported improved patient–clinician interactions. Three studies measured patient satisfaction,26⇓–28 with most measures not reaching the level of statistical significance. Only Bastani et al28 observed a significant improvement, with the postscribe time period rebounding to the level observed before implementing the emergency department's computerized physician order entry system. Both studies assessing clinician satisfaction reported scribe use had a positive impact.26,29 Comparing physician shifts without scribes to those with scribes, Koshy et al26 found urologists were more satisfied during office hours with scribes compared with those without. Findings also included a decrease in physicians' reported difficulty with documentation.26 Using survey data collected during a single time period after implementation of the scribe program, Allen et al29 found clinicians were generally satisfied with the use of scribes in the emergency department, noting clinicians' belief that scribes saved time with charting, increased time with patients, decreased work-related stress, and increased overall workplace satisfaction. Three studies measured the effect of scribes on productivity.25,27,29 Arya et al25 found that for each 10% increase in the number of patients with whom a scribe was used, RVUs per hour increased between 0.18 and 0.24, the latter adjusted for physician assistant utilization. A slight increase in patients per hour (between 0.05 and 0.08) was also observed, with the latter again adjusted for physician assistant utilization. Bank et al27 reported work RVUs per hour among cardiologists increased from 3.5 without a scribe to 5.5 with a scribe, and the number of patients seen per hour increased from 2.2 without a scribe to 3.5 with a scribe. Allen et al's29 findings on emergency department productivity were mixed. While a statistically significant change in the number of registered visits per day was not observed, the proportion of patients admitted to the hospital was significantly higher during the postscribe period when compared with the prescribe period: 0.31 versus 0.35, respectively. Only 1 study directly investigated revenue generation attributable to the use of scribes.29 Revenue was estimated for both direct and indirect (downstream) services, with the average revenue generated per additional patient estimated at $142 for direct services and $2398 for indirect services. The authors indicated the per-patient increase in revenue was approximately $2540, or $205,740 when applied to the additional 81 patients seen in the outpatient cardiology clinic. Four studies measured the impact of scribes on time-related efficiencies. Of the 3 studies in an emergency department setting, Arya et al25 found scribes had no impact on discharge times; Bastani et al28 found a 13- to 14-minute decrease in the length of stay for admitted and discharged patients, respectively, and a 15-minute improvement in room-to-physician time when compared with a sister institution not using scribes; and while Allen et al29 found an 11-minute decrease in length of stay for discharged patients, a 39-minute increase was observed for admitted patients. Within the urology setting, Bank et al27 reported that direct patient contact time was lower for scribe visits; however, patient–physician interaction without the use of the computer was greater for scribe visits: 6.7 minutes with the scribe versus 1.5 minutes without. One study directly measured the quality of the patient–physician interaction both with and without scribes.27 The quality of the visit was assessed by a single rater who scored patient visits with 1 physician using an aggregate measure that assessed the cardiologist's attentiveness; knowledge of the patient's history; use of empathy and open-ended questions; courtesy and respect; repetition of key points to the patient; and clarity of the treatment plan explanation. On a scale from 1 to 10, with 10 indicating higher quality, visits with a scribe (n = 14) were scored better than those without a scribe (n = 9): 9.1 and 7.9, respectively. Important design-related limitations can be broken down into 3 overarching categories: the absence of randomization, limited measures, and shortfalls in reported statistics. No study randomized scribe use. The lack of randomization seems least problematic in the study by Bank et al,27 who assigned equal numbers of cardiologists' clinic hours on scribe and control days. Researchers neither mixed clinicians (ie, only the same 4 cardiologists comprised the scribe and control samples) nor used methods with obvious temporal ordering (ie, scribe days and control days were interspersed). By contrast, Koshy et al26 matched urologists' shifts based on the day of the week. Physicians were stratified by type, such that all resident–patient encounters were assigned to the control group, whereas attending–patient encounters were assigned to either the scribe or control groups. Arya et al25 also used a matched design, pairing emergency physicians' scribe shifts to control shifts within a defined time period. Shifts using the scribes were more likely to occur during the day when patient volume was highest, and some control shifts may have used a scribe for up to 40% of the shift. Arya et al conceded that the absence of a control for the influence of specific physician assistants may also have influenced physician productivity. Both Bastani et al28 and Allen et al29 compared outcomes before and after implementation of a scribe program within an emergency department setting. The internal validity of this design is particularly vulnerable to threats from history and maturation, such that many change-producing events other than the experimental intervention could have influenced the observed outcome. Bastani et al describe taking steps to mitigate potential threats, including making no other changes to the staffing model during the study period. They also used a sister institution from the same parent health system as a matched control; only a single comparison—room-to-physician time—was reported, however, and the researchers conceded that the hospital's administration truncated the data collection schedule for reasons external to the study. In contrast to the attempt by Bastani et al to control for extraneous influences, Allen et al reported additional measures implemented during the study period that may have influenced outcomes, including improved clinical guidelines and policies, efforts to enhance communication between admitting and consulting medical services, and EHR support tools. Each of these measures may have affected the observed outcomes. Four studies used questionnaires to assess patient and/or clinician experiences with medical scribes.26⇓⇓–29 Of these, only 1 provided sufficient detail to calculate a response rate29; in this study, the response rate was 60%. Of the remaining 3 studies, 1 did not provide detail on the number surveyed,26 1 did not provide detail on the number returning surveys,27 and 1 provided detail on neither the number surveyed nor the number returned.28 In the absence of information on both the numerator and the denominator, the representativeness of responses cannot be assessed. Three studies used survey instruments created specifically for the study,26,27,29 and 1 used Press Ganey instruments.28 The content of the Press Ganey instruments was not provided; rather, only percentile rankings for the emergency department and its physicians' were given. By contrast, the studies creating their own instruments provided specific detail regarding survey content; 1 study provided the survey's questions word for word.29 In the absence of validated instrumentation and/or adequate description regarding the surveys' content, the reliability and internal consistency of the instruments cannot be fully assessed. While each study discussed to a greater or lesser degree the potential financial implications of using scribes, only 1 study sought to measure financial impacts straightaway.27 In their estimate of indirect returns, Bank et al27 included all cardiovascular-related revenue generated within 2 months after the patient visit, attributing 100% of subsequent care to the original encounter. As they suggested, this assumption may be too generous and thus overestimate the true parameter. The study by Bank et al27 was also the only one that directly measured the impact of scribes on the timing and quality of the patient–physician interaction. They reported the cardiologist spent more time directly interacting with patients when using the scribe, and visits with the scribe were rated better in terms of interpersonal quality; however, the subsample of patients used for this analysis was very small (n = 23), included only a single cardiologist, and quality scores were generated by a single evaluator. While each study described findings through the use of P values, only 2 reported confidence intervals25,27 and none reported effect sizes. While P values indicate the significance of the results, they communicate little to nothing about the precision of the estimate or its magnitude. Confidence intervals, based on a predefined probability level, provide a range of values around the statistic, with the width of the interval conveying information about the statistic's precision. Confidence intervals are especially important in studies with small sample sizes, where the interval itself is more likely to be large. In the study by Bank et al27 the confidence intervals for the measures assessing the quality of the patient–cardiologist interaction (n = 23) are large enough that they overlap a good deal. While reaching the threshold of statistical significance, the overlap suggests the finding may be neither very precise nor clinically relevant. Because studies with large samples can identify extremely small changes, the P value alone cannot determine the importance of a given finding. Effect sizes are needed to communicate the magnitude of an observation. Effect sizes help convey to the reader the substantive significance (as opposed to the statistical significance) of a given research finding. In the 2 studies with large samples from an emergency department,28,29 the reporting of standardized effect sizes would have helped readers determine whether the change of several minutes—over an encounter lasting many hours—is important, as well as enable readers to more easily make comparisons between studies. As EHRs continue to be integrated within health care settings both large and small, policy makers, health care administrators, and clinicians will need new tools to improve productivity, quality, and outcomes. Current evidence suggests medical scribes may improve clinician satisfaction, productivity, time-related efficiencies, revenue, and patient–clinician interactions; however, because the number of peer-reviewed studies is small, the quality of research is limited, and some findings were not consistent, confidence in the reliability of outcomes is significantly constrained. Recommendations based on the evidence reported in this review are delineated in Table 4. More well-designed and sufficiently powered studies in a variety of practice settings are needed. Given that the majority of physician office visits in the US are in the primary care setting,31 research investigating the use of medical scribes within primary care are especially warranted. Use methods that randomize study and control groups; this could include both who uses the scribes and when the scribes are used. Identify how scribe type (eg, training, educational background, experience level, demographic characteristics, employment relationship with the health care setting) affects outcomes. Use and/or develop validated measures (eg, satisfaction instruments specific to using medical scribes). Report significance levels, confidence intervals, and effect sizes. Use qualitative and/or mixed-methods research to develop a richer description of stakeholders' experiences. Model revenue and costs using both conservative and liberal criteria/assumptions, thus creating high and low estimates. Investigate scribe use in settings operating under different payment systems/models (eg, fee for service, pay for performance, bundled payment). Examine the long-term sustainability of scribe use, such as the effects of increased workload over time or whether a setting's existing systems/staff/processes can manage the increased throughput over time. Use (or develop) methods/instruments that can capture nuanced features of the patient–clinician interaction (eg, Davis Observation Code,32 Roter Interaction Analysis System,33 Comprehensive Analysis of the Structure of Encounters System34). This systematic review has several limitations. First, while efforts were made to identify and include all eligible studies, some studies may have been missed. Second, this review included only peer-reviewed studies investigating the effect of medical scribes on health care productivity, quality, and outcomes. While beyond the scope of this review, some sources not included may contain valuable lessons regarding how to successfully implement a scribe program. Third, given the relative dearth of research investigating the use of medical scribes, findings reported in this review may be proven incorrect as more research on the topic is published. Indeed, it is our hope that this review spurs more methodologically rigorous research, thus improving the quality of evidence on the topic. Existing evidence on the use of medical scribes is very limited. More research is needed to expand our understanding of how scribes may benefit—or hinder—health care productivity, quality, and outcomes. Those considering the use of scribes should exercise caution, developing clearly defined and empirically derived measures so that the success of the program can be objectively assessed. Performing small-scale studies before widespread implementation would help to mitigate potential risks. Received for publication August 5, 2014. Accepted for publication November 12, 2014. Institute of Medicine, Committee on Patient Safety and Health Information Technology. Key capabilities of an electronic health record system. Washington, DC: National Academies Press; 2003. HealthIT.gov. Benefits of electronic health records (EHRs). Available from: http://www.healthit.gov/providers-professionals/benefits-electronic-health-records-ehrs. Accessed July 1, 2014. Institute of Medicine, Committee on Patient Safety and Health Information Technology. Health IT and patient safety: building safer systems for better care. Washington, DC: National Academies Press; 2012.
. Wiring the health system—origins and provisions of a new federal program. N Engl J Med 2011;365:2323–9.
. Trends in electronic health record system use among office-based physicians: United States, 2007–2012. Natl Health Stat Rep 2014;20:1–18.
. Adoption of electronic health records grows rapidly, but fewer than half of US hospitals had at least a basic system in 2012. Health Aff 2013;32:1478–85.
. Forecasting the use of electronic health records: an expert opinion approach. Medicare Medicaid Res Rev 2013;3:E1–16.
. 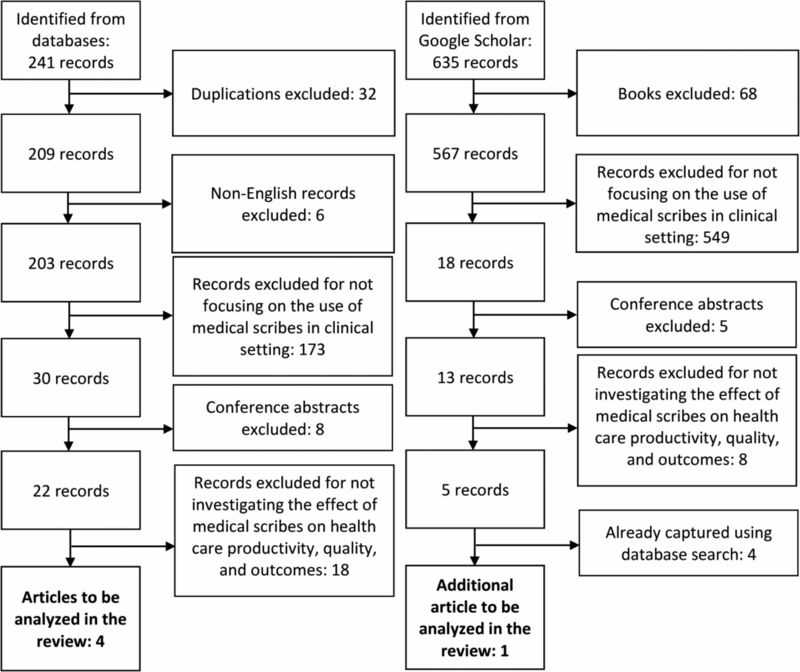 The impact of the electronic medical record on structure, process, and outcomes within primary care: a systematic review of the evidence. J Am Med Inform Assoc 2011;18:732–7.
. Clinical benefits of electronic health record use: national findings. Health Serv Res 2014;49(1 Pt 2):392–404.
. The impact of electronic health records on workflow and financial measures in primary care practices. Health Serv Res 2014;49(1 Pt 2):405–20.
. A national study of challenges to electronic health record adoption and meaningful use. Med Care 2014;52:144–8.
. Barriers to the acceptance of electronic medical records by physicians from systematic review to taxonomy and interventions. BMC Health Serv Res 2010;10:1–17.
. Research report. Factors affecting physician professional satisfaction and their implications for patient care, health systems, and health policy. Santa Monica, CA: Rand Corporation; 2013. Available from: http://www.rand.org/content/dam/rand/pubs/research_reports/RR400/RR439/RAND_RR439.pdf. Accessed July 1, 2014.
. Benefits and drawbacks of electronic health record systems. Risk Manag Healthc Policy 2011;4:47–55.
. The good, the bad and the early adopters: providers' attitudes about a common, commercial EHR. J Eval Clin Pract 2014;20:36–42.
. Dynamic modeling of patient and physician eye gaze to understand the effects of electronic health records on doctor-patient communication and attention. Int J Med Inform 2014;83:225–34.
. Technology-mediated information sharing between patients and clinicians in primary care encounters. Behav Inf Technol 2014;33:259–70.
. Electronic health record functionality needed to better support primary care. J Am Med Inform Assoc 2014;21:764–71. The Joint Commission. Use of unlicensed persons acting as scribes. Revised July 12, 2012. Available from: http://www.jointcommission.org/mobile/standards_information/jcfaqdetails.aspx?StandardsFAQId=426&StandardsFAQChapterId=66. Accessed July 2, 2014.
. Nurse-scribe system saves time in the emergency department. J Emerg Nurs 1975;1:23–7.
. Scribe system works like a charm in Sarasota ED. Emerg Dep News 1981;3:4.
. Improved emergency department patient flow: five years of experience with a scribe system. Ann Emerg Med 1983;12:162–3. Institute of Medicine (US). Crossing the quality chasm: a new health system for the 21st century. Washington, DC: National Academies Press; 2001. Google. Google Scholar [About page]. Available from: http://scholar.google.com/intl/en-US/scholar/about.html. Accessed September 9, 2014.
. Impact of scribes on performance indicators in the emergency department. Acad Emerg Med 2010;17:490–4.
. Scribes in an ambulatory urology practice: patient and physician satisfaction. J Urol 2010;184:258–62.
. Impact of scribes on patient interaction, productivity, and revenue in a cardiology clinic: a prospective study. Clinicoecon Outcomes Res 2013;5:399–406.
. An ED scribe program is able to improve throughput time and patient satisfaction. Am J Emerg Med 2014;32:399–402.
. An assessment of emergency department throughput and provider satisfaction after the implementation of a scribe program. Adv Emerg Med. 2014;2014:517319. Centers for Disease Control & Prevention, National Center for Health Statistics. National ambulatory medical care survey: 2010 summary tables. Available from: http://www.cdc.gov/nchs/data/ahcd/namcs_summary/2010_namcs_web_tables.pdf. Accessed October 17, 2014.
. Development and validation of the Davis Observation Code. Fam Med 1991;23:19–24.
. The Roter interaction analysis system (RIAS): utility and flexibility for analysis of medical interactions. Patient Educ Couns 2002;46:243–51.
. Problems and processes in medical encounters: the cases method of dialogue analysis. Patient Educ Couns 2013;91:192–9.